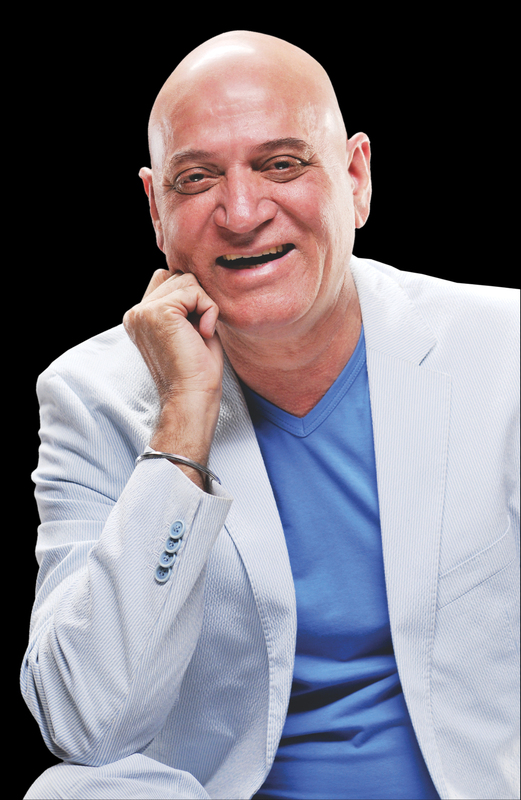 I had the wonderful opportunity to interview Dr Madan Kataria, founder of Laughter Yoga. Laughter Yoga had a humble beginning with just 5 participants, but it has now flourished in 100 countries around the globe. 1. How did you get the idea of starting Laughter Yoga? Were there any stressful situations in your life which propelled you towards Laughter Yoga? Dr Kataria: My pushing point was the stressful life that I was leading in Mumbai. I was practising as a medical doctor as well as editing and publishing a health magazine. I was passionate about what I was doing for the magazine- educating people about health, healing, yoga, wellness,etc. It gave me a holistic approach on health and healing as opposed to my practice as a physician using allopathy, which had no preventative component that I could teach. I started studying homepathy, ayurveda, acupuncture, acupressure, yoga as well as meditation and spirituality. I thought I would give people knowledge in terms of holistic approaches in order to avoid the use of too many medicines. The work for the magazine was very interesting because I learnt something every time I published an article. It was then that I thought of writing an article- ‘Laughter is the best medicine’. It then struck me that I needed laughter the most. I realised that although people knew the benefits of laughter, nobody really practised laughter consciously. I excitedly did a research on the benefits of laughter, which has been proven by science over the last 4 decades. But, there was no effective delivery system to dispense the benefits of laughter. At that time, the delivery system was mostly humour, comedy, etc which might not have such a profound effect on the immune system because one experiences the benefits of laughter only if one laughs for a sustained period of time, as proved by one of the studies. I thought of starting a laughter club at the park. I floated this idea around to people and they started laughing at me. But eventually, we started a laughter club, wherein we told jokes. People started joining our club and our attendance grew. In a few days we ran out of good jokes. People started saying vulgar jokes which were not that well appreciated by everyone. I requested the club members not to close the club. I asked them to give me one day for me to find out an effective way to laugh without having to indulge in such jokes. I wanted to look for a breakthrough solution which would enable people to laugh easily. I always believe that if there is a problem, there is a solution to it. I started frantically searching through magazines and books on how to laugh without jokes. I found a book which talked about fake humour which said that the body cannot distinguish between fake and real laughter. I read a research piece which stated that holding a pen between the jaws such that it represents a smile sends a feedback to the brain similar to what the feedback would be if a person is smiling. The brain on receiving the feedback, triggers the release of happy chemicals, like endorphins. Laughter Yoga is not a mind-body medicine. It is a body-mind medicine. If faking a smile can release happy chemicals, faking a laughter can do a lot more. That gave me the idea that I could make laughter as an exercise. We came out with exercises which would prompt us to laugh- like milkshake laughter, namaste laughter, etc. Within a month, we could come out with 20-30 laughter exercises. But, we used to get tired laughing continuously for half an hour every day. We then started doing some breathing exercises in between. It then dawned on me that we could name it ‘Laughter Yoga’, because laughter in itself is a form of breathing. Breathing and laughing together helps to exhale stale air from the lungs and helps to oxygenate each cell of the body. Slowly our focus became only laughter and not the cause of laughter. This gave us the freedom to laugh in a sustained manner for a longer period of time which really brought out the benefits. 2. What benefits did you experience on a personal and spiritual level due to Laughter Yoga? Dr Kataria: It has been almost 20 years since I started practising Laughter Yoga. My day starts with laughter. I wake up at 4 am and start laughing all by myself in another room for 30-40 minutes. I then go on to laugh on Skype and other places. My immune system has become very strong and I have stopped falling sick. Earlier I used to fall sick 4-5 times a year, but laughter has changed that. My capacity to laugh has gone up. Earlier, my brain used to be judgmental about what is funny and what is not. But now that has changed, due to the laughter exercises. My sense of humour has gone up. My perception of what is funny and what is not has changed a lot. Even small things crack me up now. My mind has become very positive. There is a lot of negativity around us, which can easily influence us. My inner resilience has gone up and my reactivity has gone down. I have achieved calm and peacefulness within myself and with others. I have become spiritual through laughter. I have become very generous. I love helping people. As a young man, I used to focus more on my achievements, but now I feel I have everything. I am getting lots of love and affection from people. I am not in the race for money. I have become more conscious about how I can be more service oriented. I have become aware of the environment. If I see a chocolate wrapper on the road, I just pick it up and throw it in the dustbin, thinking that even a small action can drive a change. Now if I see a cockroach in the house, I don’t kill it. I sweep it out of the house. I am a vegetarian for more than 25 years now, purely because of my love for life. Spirituality for me means being able to raise your spirits by yourself and others’ spirits by any method. You don’t have to do anything religious to be spiritual. Laughter Yoga has given me the tool to keep my spirits high right from the morning all throughout the day. Through laughter I am contributing to the entire world, even with all the doom and gloom in the world. I continue to be a crusader for world peace. My understanding about world peace is that ‘what is inside is outside’. So, world peace has to achieved through one person at a time. I am multiplying these laughter clubs all over the world. In this way I am contributing to the world peace in a big way, because Laughter Yoga clubs are now in 100 countries around the world. 3. What are some of the common beliefs amongst people which prevents them from laughing? Dr Kataria: Firstly, people are not aware of the benefits of laughter. People still think that laughter is only for relaxation and entertainment. They don’t know the impact laughter has on one’s health-physical, spiritual, mental and emotional. That is changing now, thanks to media and articles. Secondly, people think that this laughter is not real laughter. They look for spontaneous laughter. My challenge is to make people aware that this laughter is much better because there is no guarantee of laughter if you rely on only spontaneous methods, through comedy or jokes. 4. Are there any stressful situations in your life when you don’t feel like laughing? How do you get into a mood to laugh? Dr Kataria: Yes. I do have stressful situations in my life. Firstly, lot of people want me to react. By choosing not to react, you make things easier. If you don’t react, and just be with the situation by responding appropriately if required, it helps you and other people as well. They can also vent out their stuff. I still react 5-10% of the times, but I have overcome 90-95% of it. Secondly, there is no control on what happens to us. We have 110% control over what we do when something happens. Rather than getting involved in the problem, laughter has helped me to swing into action, to understand how I can make the situation better. Reaction complicates things. Nowadays I laugh when I miss my flight. It makes me feel better instantly and I don’t feel stressed out. I laugh at practically every situation which is not in my control. Thirdly, laughter gives you acceptance. Sometimes people criticise me and my laughter and make nasty remarks. I can’t do anything about it. I feel that you can only accept those situations and they way you can accept those situations is by laughing about them. I get problems every day, despite me being a laughter guru. But the way I deal with problems is amazing. That is the way yogis will handle the situation. 5. How important is childlike playfulness in day to day life and Laughter Yoga? Dr Kataria: Children can laugh so much because they play. The problems with grown ups is we don’t play because we are conditioned that way. But there is an innate desire within all of us to be like children sometimes. Laughter Yoga provides a safe environment for people to revisit their childhood. We do a lot of child play activities like clapping hands together and saying- “Very good. Very good. Yay!” Playfulness is an important for nurturing creativity. Laughter Yoga club is like kindergarten for grown ups. To find out more about Laughter Yoga, head to www.laughteryoga.org. Watch Dr Madan Kataria on Satyamev Jayate, a popular show hosted by Aamir Khan in India.